A Portland couple’s sacrifice started 10 years ago in the remote Kenyan village of Thika. Today, the community’s children and adults have real hope for a better future. In 2009, Ian and Anne May uprooted their lives in Portland and moved to Kenya to manage a humanitarian project. “We had young children, but we went for it and I’m so thankful. It was life, life-changing,” said Anne May. They returned a year later where they lived and worked in the remote village of Kiang’ombe (Key-on-gom-bey), where they found three generations of people with little or no access to education for their children. “They lived in the slum,” said Ameena Project board member Shari Altree. “They didn’t live in a home in a real permanent structure. What unfolded under their direction and their inspiration and in their heart literally was life-changing for those of us who met them and saw that happening, and especially for the people living there. And then there was the malnutrition and desperation. Ian says children would come to school on Monday crying after a weekend without food. “Anne and Ian literally packed everything up, gave everything up with the inspiration of making a difference in a community that needed their help.” Altree said. They returned to Portland a year later but were asked by the people they met in Kenya to start a school. With the help of locals, they started the Ameena Project, a children’s school for preschool and kindergarten-aged kids. Today, the school has a staff of 11 people, and 90 percent of the children regularly attend classes. They get two meals a day and recess on a playground with swings and a merry-go-round. “It’s really all about helping, opening that door to opportunity and opening that door to education,” Ian May said. People associated with the Ameena Project say the school has become the “heartbeat” of the community. About 125 children have gone through the school and on to public schools, where Ian May said many have become academic all-stars. By Stuart Tomlinson, KATU News. Article from KATU.com. Listen in as founder’s Ian and Anne May sit down with K103fm to discuss the Ameena Project. American Idol alumna Haley Johnsen is slated to perform this Friday at Salem’s Broadway Coffeehouse to raise funds for Ameena Project’s Kiang’ombe School in Kenya. Salem favorite Logan Martin is also set to take the stage at the free community concert.“This is a cause near to my heart, and it is an honor to return to the stage on behalf of the children of Kiang’ombe School,” says Johnsen, a top finalist in American Idol’s 2011 season. A graduate of Beaverton High School and student of Oregon State University, Johnsen’s soulful voice and melodic guitar skills blend folk and blues to produce a deeply rhythmic and original style. Since competing on the Idol main stage and embarking on a 2012 Idol World Tour where she performed for U.S. troops and military families, Johnsen has been working on her first solo album, and well as performing in the Portland Metro area. The “Expressions of Love” benefit marks her second performance on behalf of Ameena Project – her first being the 2012 outdoor summer concert in Vancouver, Washington. Ameena Project’s founders are Portlanders Ian and Anne May. While living as missionaries in East Africa, the Mays were approached by local teachers who wanted to seek out and serve the most vulnerable, unreached children by establishing a local-run feeding program and preschool. Their search led them to a desperate place called Kiang’ombe – an isolated, hostile, and forgotten community where hundreds of children are desperate for food, clothing, and education. Ameena Project opened the doors of Kiang’ombe School in September 2011 and, today, over seventy children receive two meals per day and an engaging preschool education in a safe environment. “Haley and Logan’s talent and generosity, and the warm ambiance of Broadway Coffeehouse, will make for a great night of entertainment as Salem comes together to show love to the amazing kids who need us in Kiang’ombe,” says Ian. “Anne and I recently returned from there, and each time we visit the community we fall more in love with these children and their families. Their lives have dramatically improved due to the basic education and nourishment Ameena Project provides, and we are humbled by the dramatic reality that very little can do very much,” says Ian. The concert takes place Friday, February 15 from 6-9pm at Broadway Coffeehouse, 1300 Broadway St. NE, Suite 100, Salem, OR 97301. Martin will take the stage at 6pm and deliver a passionate indie and acoustic set, with Johnsen immediately following. Admission is free, food and beverages are available for purchase, and donations welcomed to support Kiang’ombe School. By Tia Over. Article from OregonLive.com. Image by Michael Becker/FOX. Christian Isakson, an emergency medical technician in Hillsboro who also competes as an endurance athlete, joins multiple Ironman champion Chris Lieto at Beaverton’s Farmington Gardens Nursery on Saturday to raise awareness and funds for Ameena Project. The list of Lieto and Isakson’s sporting accomplishments are long and prestigious. Lieto, a professional triathlete, has the reputation for being the fastest cyclist in his sport. He holds the current bike course record for the 2005 Ironman Canada, and his highest placement in the Ironman World Championship was 2nd in 2009. Isakson most recently placed 4th at Ultraman Canada 2013. 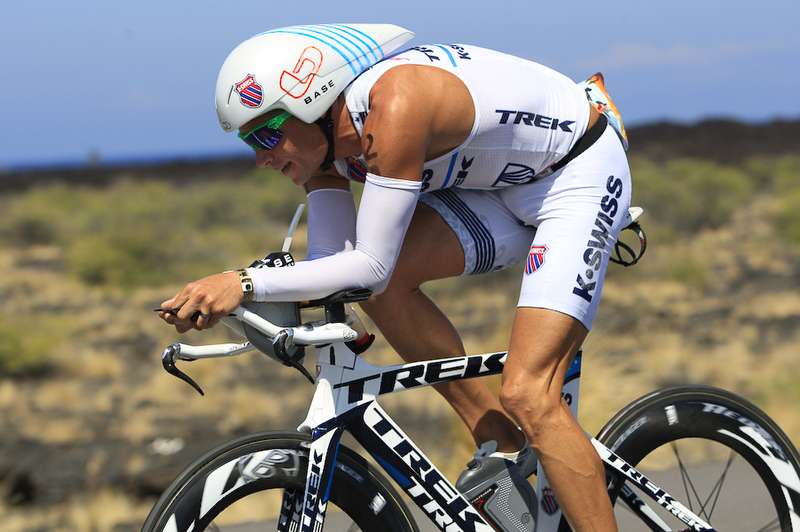 Previously he placed 5th at the Ultraman World Championship and was an Epic 5 finisher and multiple Ironman finisher. Using Lieto’s More than Sport charity effort as a platform, they will share their mission to combine the efforts of sport and endurance with passion for change and take questions on their current training and athletic endeavors. An EMT at Hillsboro Fire Station 5, Isakson will also share powerful stories from his recent trip to Kenya with Ameena Project where he used his training and expertise to treat 80 members of the Kiang’ombe community. “This is an exciting opportunity to be involved in something simple and unquestionably good: raising funds to support Ameena Project mission to provide regular nourishment, academic instruction, and structured social activity —privileges most children in the western world enjoy —to children in extreme poverty,” Isakson said. Providing these three basic elements of healthy development is the focus of the Ameena Project and their Ameena Centre and school located in Kiang’ombe, Kenya. By Jeff Smith. Article from Hillsboro Argus. Yesterday, a shining example of “kids helping kids” was on display just outside of the bustling Beaverton Library. “Well, I love cooking and if it can help some kids too, why not?” said Arco Iris Spanish Immersion fifth-grader Claire Sabbe. Claire and five of her fellow fifth grade friends – Isabella Grunseth, Caitlynn Lee, Hannah Mayfield, Isabelle Neal, and Maddy Kelly – held a bake sale to benefit a preschool in Kenya started and supported by the Ameena Project. And they did it all themselves. The girls immersed themselves in bake sale planning -gaining permission from Washington County to cook in a non-commercial kitchen, receiving approval from Beaverton Library to hold the sale just outside of the library, and deciding what to bake and how to display their goods. By the end of the three-hour bake sale, these industrious and passionate young ladies had earned $225 for Ameena Project. They call themselves the “Bracelet Bunch” as their original inspiration was to make bracelets to sell for charity – crafty work that has already netted nearly $50 in donations to Ameena Project. But they felt they couldn’t stop at jewelry making. 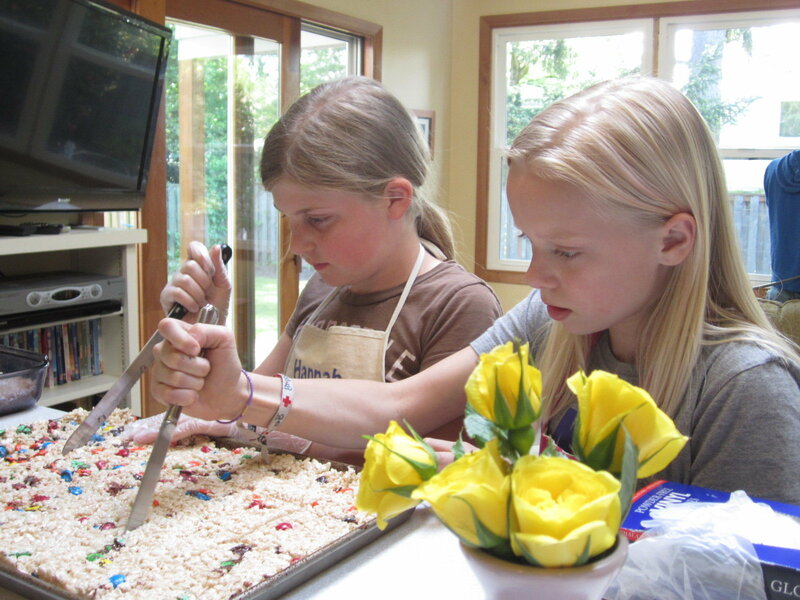 Once they learned more about the volunteer-run, Oregon-based Ameena Project and its work to fund and operate a preschool in impoverished Kiang’ombe, Kenya, the Bracelet Bunch girls rolled up their sleeves and put on their aprons. On Friday, while the girls were hard at work in the kitchen, Ameena Project founder Anne May dropped in for a visit. “The girls and I talked about what basic life is like for the kids in Kiang’ombe,” says May, a resident of Portland, who had the idea to start Ameena Project after she and her husband Ian lived in Kenya for 15 months working on another humanitarian project. “The girls imagined that they were orphans, but I explained that many of them have moms and dads; they just don’t have the ability to purchase basic things like food.” The girls were thrilled to meet Ameena Project’s namesake, Anne and Ian’s young daughter Ameena. May shared with the girls how the children in the Kiang’ombe community might be lucky on their own to get one meal a day, but that at the Kiang’ombe School they receive two meals every day. “The girls were excited about this, and the fact that the money they contributed in March had paid for a month of school and food for six of the kids,” says May. 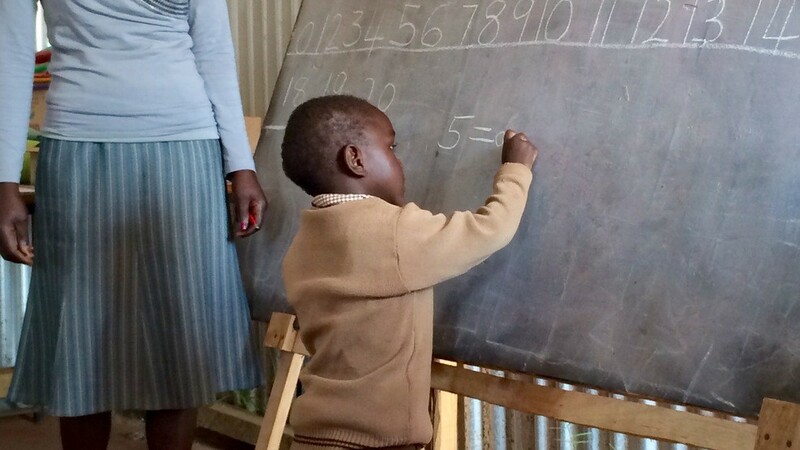 Since its doors were opened in January 2012, Kiang’ombe School’s seventy children receive daily nourishment and an engaging preschool education in a safe environment. Thanks to the funds raised at Saturday’s bake sale, the Bracelet Bunch helped ensure twenty children will be fed a month’s worth of meals. By Tia Over. Article from OregonLive.com.